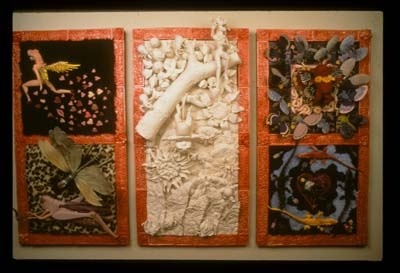 Stoneware, Porcelain, latch-hook rug, fabric, wood, etc. I decided to build this piece when I made the unhappy decision to leave RISD; I wanted to go out with a bang. It's a big mess, intended to be viewed like scenes (acts) in a play. It was a blast to build.